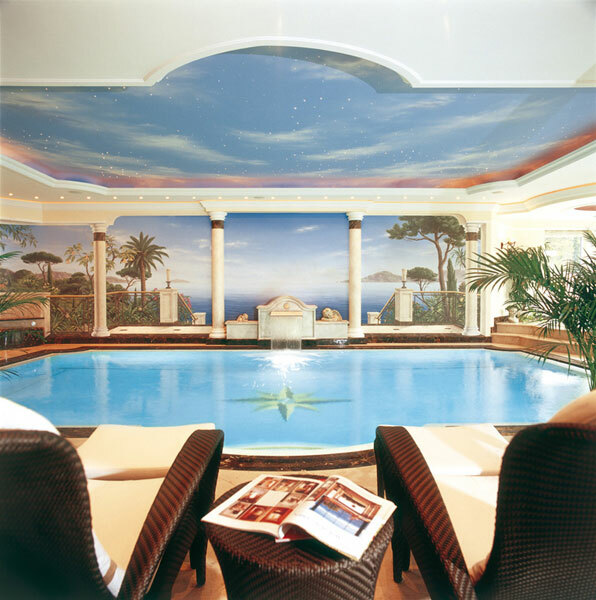 Trompe-l’oeil painting is the illusive play with colours and paint brush. 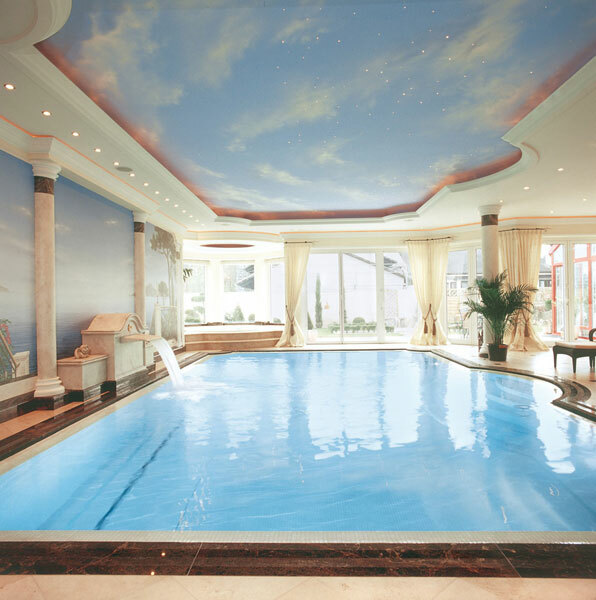 Perfectly executed, it glamorises indoor pools with unexpected depth. 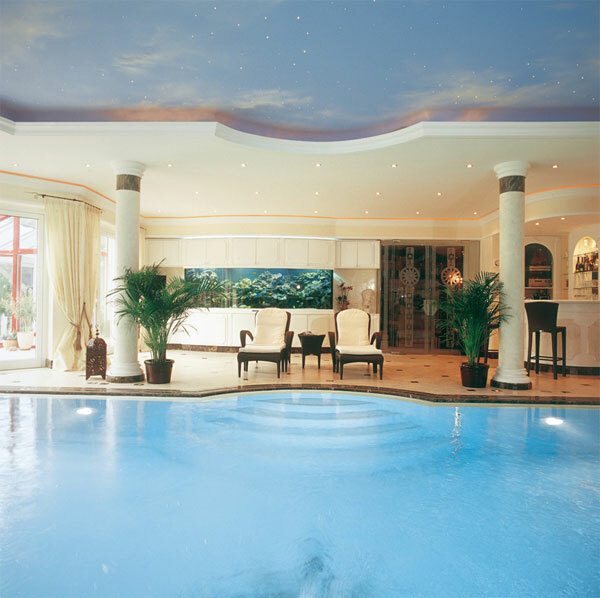 this facility features a rich array of attractions such as a whirlpool, counter current flow, neck splash, floor geysers, massage jets, under water lighting and a sauna with coloured light stimulation. Optimum heat recovery, inexpensive operation costs, and fresh, oxygen-enriched air – a sophisticated energy management presents you with a positive balance for your body, your spirit and your wallet.